It is spring but windy and cold in Toronto right now, not a usual thing but I think we used to keep our winter outfit for a while even though the calendar says it is April already. There is no spring outside here, just deceptive and inviting sun ready to cheer us up a little. While we feel a little stuck in winter, I am glad that Trust Fund Beauty decided to bring some warmth and a bit of summer when sent us some lovely products. I became their huge fan since the time when the company showed up on the market with their non-toxic and cruelty free nail polishes. I like their extravagant products and even more the names they give to them totally reflecting the feelings and situations like “Major Eye Roll” or “I Give a Good Tweet”. I would give Trust Fund Beauty a high five for their quality and being honest till nail tips and about nail tips. 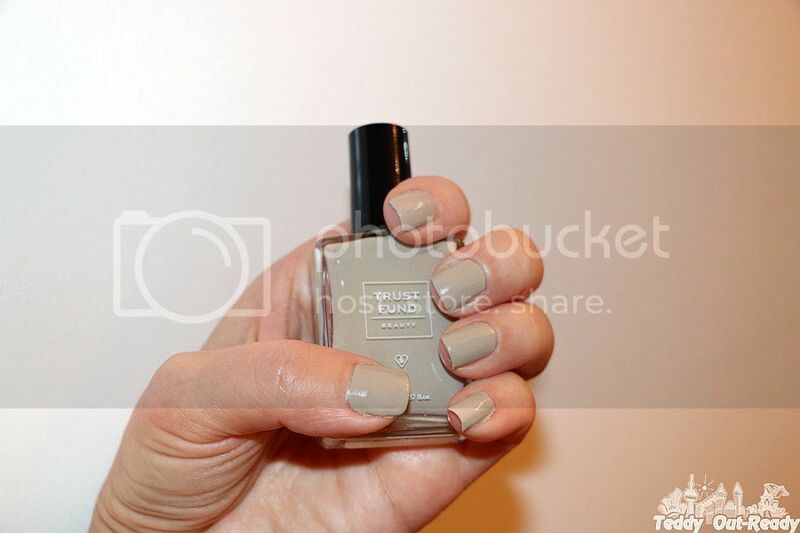 If you check Trust Fund Beauty polishes you would definitely love the shades along the smart names they have. I like every time when they introduce new collections and products, hope this year new super moisturizing, almost matte Lipsticks Lipgasm become a big hit. Now I sit in the middle of ice kingdom and my nails in “Beach Vibes”, nice and tender color which reminds sand, beach and a summer breeze. I think about summer vacation, and few coats almost make it happen. I like that Trust Fund Beauty nail polishes last pretty long for me and I already have a mini collection of them. My second item is “Embarrased by Last Night” a bright pastel pink nail polish, which is a totally feed for eyes and always a theme for a conversation. I like how bright and soft it is, great for parties, getaways and helps to re-create pretty strong festive mood. Trust Fund Beauty, launched in 2014 in Canada with the purpose to create vegan, non-toxic and cruelty-free nail polishes already found lots of fans around the world. I am glad that the brand is growing to introduce more products for us. Once you try them you love them forever, even packaging totally brighten my days and I keep them to store my other items. Warmer weather is almost here, I hope, and we are looking forward to putting our toes into the sand, spending more time outside and chatting and having more gatherings. Time to prepare for summer season and Trust Fund Beauty is, definitely, one of your supporters, check them out. Wow now those two are great colors. I love them. They look great on you! I love the fact they are non toxic so I will be sure to check them out!! #productreviewparty on!